SRG Worldwide Comprehensive Season 7! 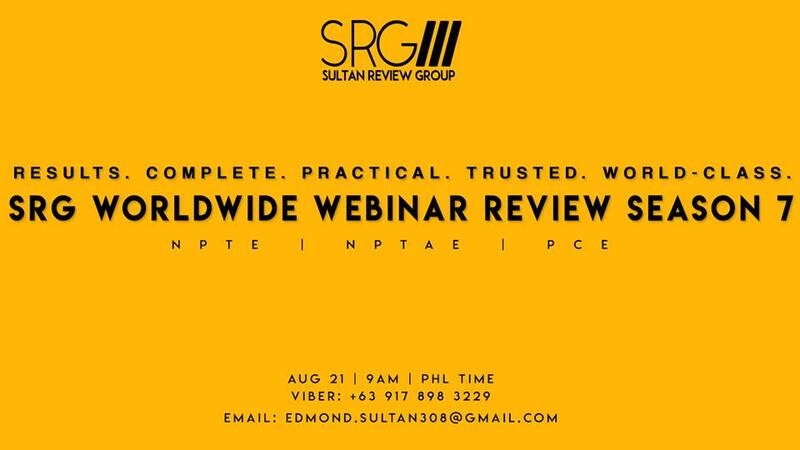 The first and most comprehensive webinar review for NPTE, NPTAE, and PCE will again set the trend in 5 days. Tried and tested for multiple seasons. You know the drill. Previous Entry:4 days left ’til the Comprehensive Worldwide Webinar Season 7 for the NPTE, NPTAE, and PCE! Next Entry:The Father Dragon: Mr. Edmond Sultan, PTRP, RPT, RN to take tDPT in Utica!